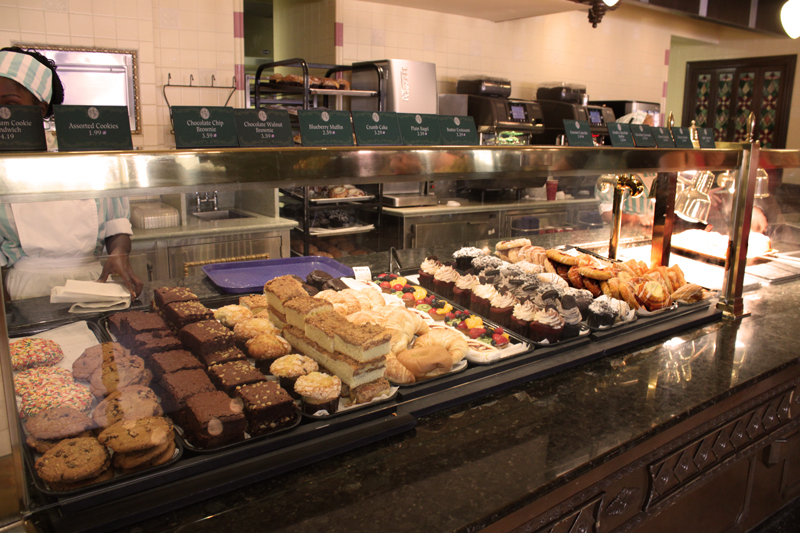 It might be possible for you to walk down Main Street without stopping by the Main Street Bakery but it’s nearly impossible to walk past the bakery without smelling the comforting and very welcoming smell of freshly baked pastries. 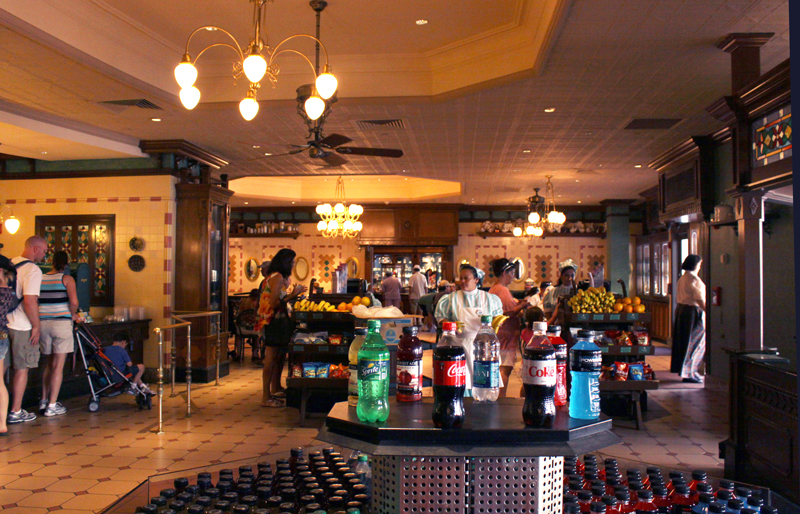 It is hard to miss this snack stop partly every guest visiting the Magic Kingdom walks but it unless they spend all day in the square or use the train to enter and leave the park…but let’s be honest, no one does that! Nor should they! It’s popularity can be attributed not only to its convenient location but also to the scent that is piped into the street. Yes, the sweet aroma that takes you over as you make your way towards Cinderella’s castle is not actually the smell of pastries sold inside. It is those pesky Imagineers at work again. Now whether you want to believe Disney does this to “sell the story” or to sell more bake goods is up to you. Some people see this and other similar tactics Disney uses as devious but it does not bother me. I think it is interesting and in fact, you can find other artificial scents elsewhere in WDW, one of which you can also find on Main Street. 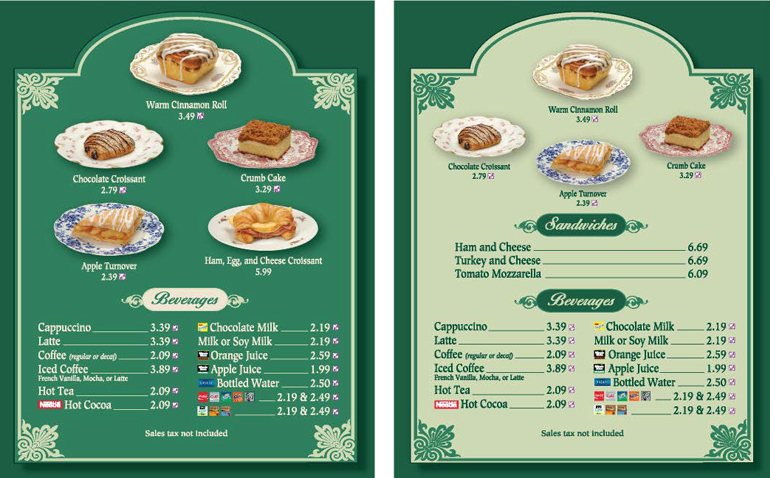 The Main Street Bakery is a great place for those who aren’t looking to spend a lot of time and money. The portions are fairly generous for prices around $3. 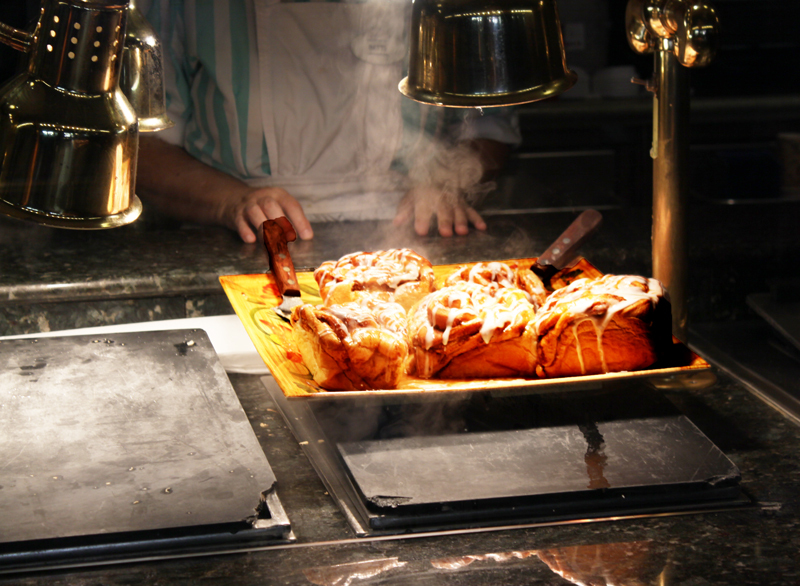 It is a great option for those who might have skipped breakfast at their resort and don’t come to the parks packing. It also serves as a great snack location as you settle into position for the classic view of Wishes. This entry was posted in Food, Magic Kingdom, Restaurant Review, Snacks and tagged bakery, fireworks, food, Magic Kingdom, Main Street Bakery, restaurants, theme park, travel, vacation, Walt Disney World. Bookmark the permalink. What is the other artificial scent on Main Street?